Contact your elected representatives about the hate crime legislation. Find their contact details here. Feel free to use the below letter template or write your own. Dear Calling for the government to enact the Hate Crime Bill immediately to protect our minorities. Subject: Calling for the government to enact the Hate Crime Bill immediately to protect our minorities. I am writing to you, as I believe that the Irish Government should take immediate steps to enact the proposed hate crime legislation, namely Criminal Law (Hate Crime) Bill, drafted in 2015 by the Hate and Hostility Research Group. Currently there is no provision within Irish legislation to deal with hate crime. While it is at the discretion of judges to consider hate motive as a factor when determining a sentence in a case, in practice it does not happen. 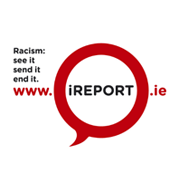 Making racism and hate motivations a crime not only secures justice for the victims, but sends a clear message that racist and other forms of hate crimes are not acceptable in Irish society. Building on the recent success of YES Equality campaign, and an amazing public manifestation of support for equality in Ireland, I believe that the time is now right for the Irish Government to ensure protection for those among us who are perceived to be different because of their race, ethnicity, skin colour, religion, sexual orientation, gender identity, physical or mental abilities, and so on. As a society, we have to break the silence on racist and other hate-motivated crimes, create a safe environment that encourages people to report hate crimes, and to find effective ways to address and prevent them. This would send out a strong message that in Ireland we want all to enjoy an inclusive Republic, valuing our minorities and the integrity of our communities. It would also mean that we would join the majority of countries of the Organization for Security and Co-operation in Europe (OSCE), and the European Union, and at the same time help Ireland to conform to our requirements under various EU and United Nations obligations. I hope you will support our call to enact the Hate Crime Bill immediately.